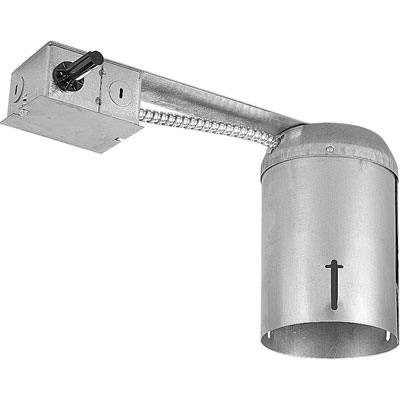 Progress Lighting Recessed - Housing Collection 5-Inch Recessed deep remodel housing in galvanized finish, features steel construction. This utilitarian/commodity recessed deep remodel housing accommodates one incandescent lamp. Lamp comes with medium socket. This round housing is ceiling joist mountable. Adjustable slide bars lock housing securely to ceiling. Housing is UL/cUL listed.